Founded in 2014 by Raleigh, N.C. native Lee Browne, Oaklee Distilling Co., is located in Wendell's Historic Downtown District. Oaklee is a craft distilling operation, focused on the production of spirits in the classic categories, combined with new innovation. Oaklee offers a unique opportunity to rent out space for corporate or social events. 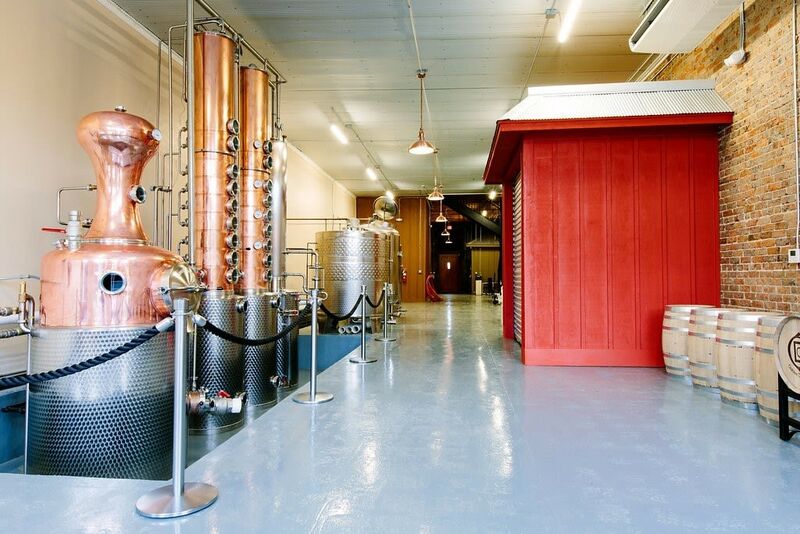 The first floor is a fully operational distillery, so they can coordinate "hands-on" distilling process/activities for a corporate team building event or wedding function. The second floor is open event space that can be tailored to the renters needs/desires. Tours and tastings available the third Thurs. of each month from 5-7:30pm, every half hour. Tours are based on a first come first serve basis and can accommodate up to 30 people per tour. Space Notes Tables, chairs and linens must be rented, as well as AV equipment and video conferencing. Parking available throughout downtown Wendell. WiFi is Town of Wendell free WiFi.